Heswall Dales is such an area which is known for being a lowland heath. More specifically it is under scientific supervision and is a Local Nature Reserve. It is very close to the town of Heswall and that’s why the name. In general the town is known for its open spaces the largest one being called “The Dales”. Interstingly enough there is a large grass area close to the middle of Heswall. It is called “Puddydale”. 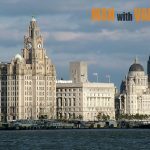 Birkenhead is perhaps one of the more notable towns of the borough of Wirral. It has a population close to 90 000 people and a few buildings with outstanding architecture. The Birkenhead Town Hall is a beautiful structure along with the Wirral Museum. Birkenhead Park is the first park in the UK funded by the public. The Bidston Windmill along with Edward VII memorial Clock Tower are also worth mentioning. Bebington is an electoral ward. 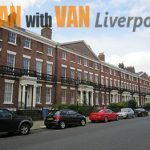 It used to be part of Cheshire and is fairly close to Liverpool – just 5 miles to the south on the other side of The River Mersey. The name comes from the old “Village of Bebba” – perhaps a chief of a Saxon tribe. A great battle is said to have taken place there in 937 – The Battle of Brunanburh. Some people born in Bebbington are Francis Jacson – a novelist and Harold Wilson – British Prime Minister in the 20th century. Hoylake has a great beach located across Hilbre Island. 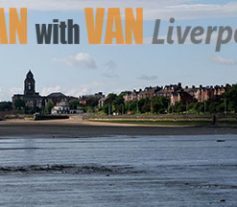 The town encompasses the north-western corner of the Wirral Peninsula and the Borough of Wirral respectively. In the past the area was known as “high-lake” but was later changed to its current name. Needless to say Hoylake has a swimming and sailing teams founded about a century ago. Rugby and Cricket are also popular sports there as the town has teams competing in an on-league format. Gayton is not among the larger settlements of Wirral but is a village with about 3 000 people in population. Historically the place was inhabited by Vikings and therefore the name – Geit-tun. It means “goat farmstead”. The oldest tower mill is Gayton Windmill and this goes for the whole borough of Wirral. William of Orange is said to have stayed and the famous Gayton Hall. It dates all the way back to the middle of the 17th century. Bromborough is considered to be a big settlement but it still have the status of a village in the Borough of Wirral. Its market is a famous one and it was decreed by Edward I in 1278. It turned into a place for people to gather and discuss and also to trade. The area was redeveloped in the 1930s. 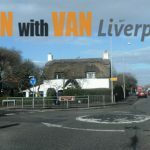 If you are looking for a nice place near the Irish Sea in the Wirral Peninsula then Leasowe is just the place for you. The name derives from the Old Saxon “meadow pastures”. Leasowe Castle and the Solar School are among some of the landmarks in the area. The Leasowe Lighthouse was built towards the end of the 18th century but was shut down in 1908. Now the North Wirral Coastal Park uses it for ranger service. Oxton indeed has a funny name for a town and it comes from the ancient Norse language. It basically means “a farm where oxen are kept”. It has been changed several times throughout the centuries and was once known as Oxeton. The Conservation area around Oxton was established in 1979. Its goal is to preserve the character of the village.